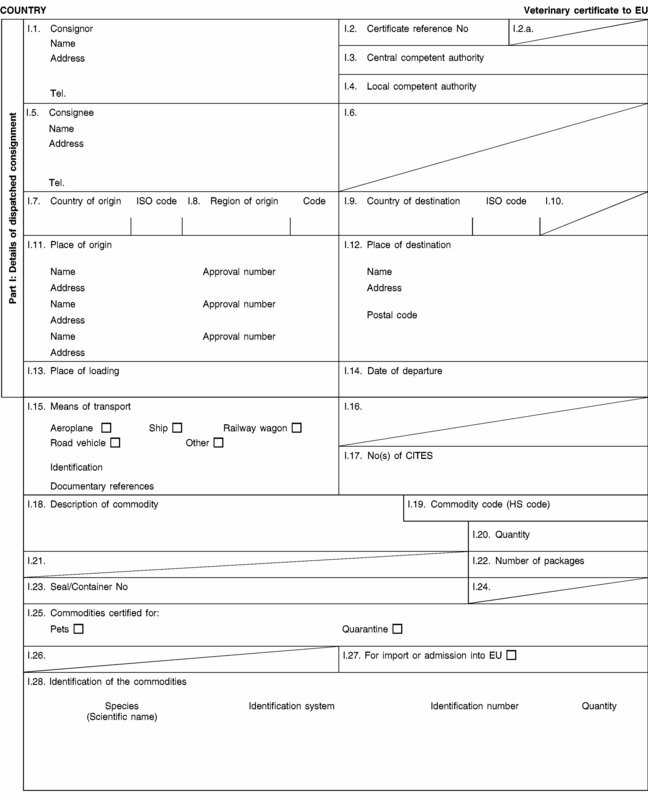 (v) are moved to a household or another residence within the Union and they must not be permitted to enter shows, fairs, exhibitions or other gatherings of birds during the period of 30 days following their entry into the Union, with the exception of movements to an approved facility for quarantine following their importation into the Union as referred to in (ii). 4. 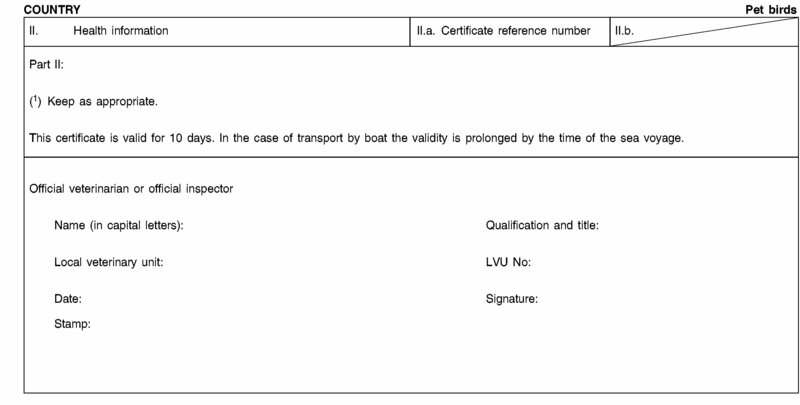 Where such checks reveal that the animals do not meet the requirements laid down in this Decision, Article 35 of Regulation (EU) No 576/2013 of the European Parliament and of the Council ( 3 ) shall apply. This Decision shall not apply to the movement onto Community territory of birds accompanying their owners from Andorra, ►M6 ————— ◄ the Faeroe Islands, Greenland, Iceland, Liechtenstein, Monaco, Norway, San Marino, Switzerland and the Vatican City State. This Decision shall apply until ►M9 31 December 2018 ◄ . 1. The bird(s) is/are accompanying the undersigned person and are not intended to be sold or transferred to another owner. 2. The bird(s) will remain under the responsibility of the undersigned person during its/their non-commercial movement. 3. During the period between the pre-movement veterinary inspection and the actual departure the bird(s) will remain isolated from any possible contact with any other bird(s). 5. The bird(s) must be moved to a household or another residence within the Union and must not be entered in shows, fairs, exhibitions or other gatherings of birds during the period of 30 days following entry into the Union, with the exception of movements to an approved quarantine facility following entry into the Union. ( 1 ) OJ L 73, 20.3.2010, p. 1. 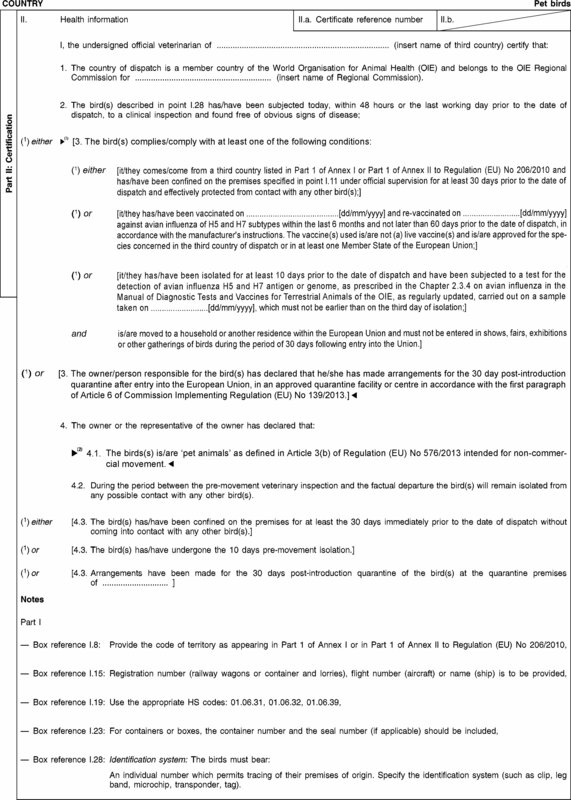 ( 2 ) Commission Implementing Regulation (EU) No 139/2013 of 7 January 2013 laying down animal health conditions for imports of certain birds into the Union and the quarantine conditions thereof (OJ L 47, 20.2.2013, p. 1). ( 3 ) Regulation (EU) No 576/2013 of the European Parliament and of the Council of 12 June 2013 on the non-commercial movement of pet animals and repealing Regulation (EC) No 998/2003 (OJ L 178, 28.6.2013, p. 1). ( 4 ) Keep as appropriate.